Greenbrae School opened in October 1977 and was a single storey building of an “open plan” design and contained two main teaching areas. An extension was opened in January 2002 comprising two classroom areas and a nursery. It lies to the south of Greenbrae Crescent and is centrally placed to receive children from the housing estates of Greenbrae, Denmore Park, Dubford and Mariner’s View. In June 2009, with the support of our PTA, we purchased an Adventure Trail for our playground which has helped encourage our pupils to be active. Due to a predicted increase in the school roll because of new housing under construction in the local area work on a two story extension to the school began in January 2016. 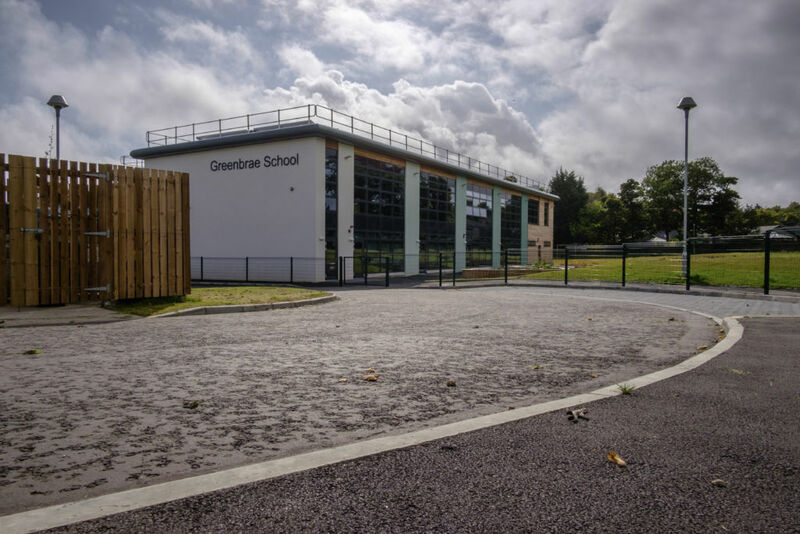 This extension and refurbishment effectively resulted in the creation of a completely new school comprising 12 new classrooms, a new gym hall, GP room, meeting room, changing rooms, library, outdoor classroom and a new 80 place nursery. Pupils, parents and staff are all delighted with the new facilities. The state of the art classrooms with dual screen technology and the additional facilities provided has enhanced the opportunities for teachers to provide the children with rich learning experiences. At the same time with the increasing roll the extension will allow for the growing community and we look forward to welcoming our new pupils. The outdoor facilities for the whole school, including friendship benches, and the adaptability of open and closed classrooms will encourage social interaction.